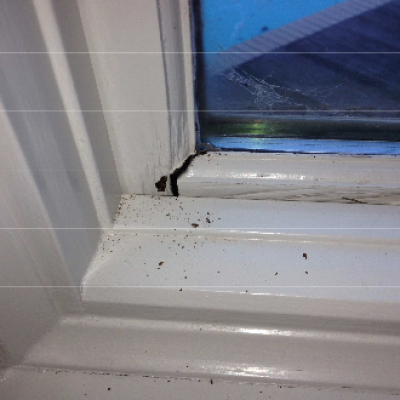 Picture #1: Location bedroom #2 casement; Glazing and cladding failure has been discovered on this sash. Failed seal at the glazing is allowing water to enter into the wood elements of the sash, glazing applied do not appear to be wet sealed. 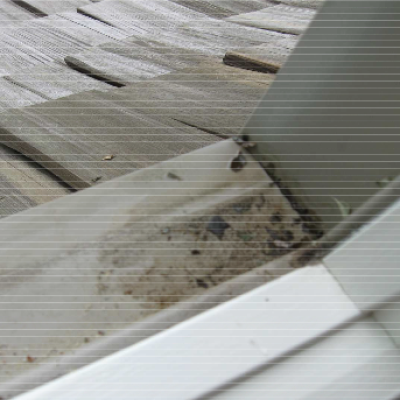 Weather striping along side jambs and sill of sash are trapping water, this condition is a contributing factor for the rotten sash. 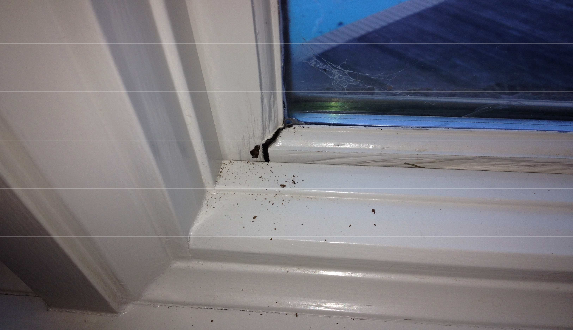 Picture #2: Location bedroom #2 casement window sill; Debris and trapped water can be seen at this location. 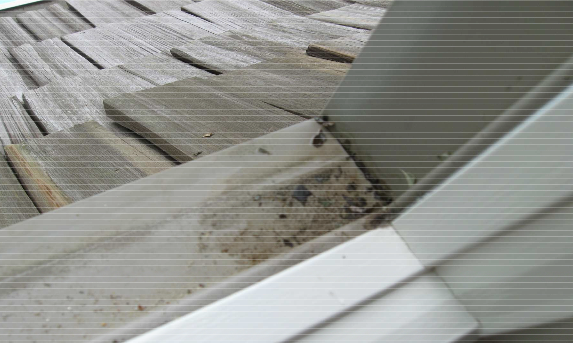 Moisture is being trapped at the sill and is causing the casements to rot.